Starting a Self Storage Business? If you are considering getting into the lucrative Self Storage Business you need answers to your questions. 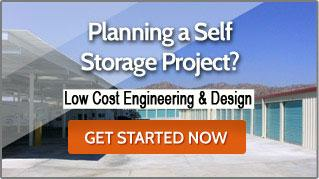 What does building self storage cost? How long does it take to build self storage? What is the process to planning, permitting and building self storage? No other company has more experience or expertise in designing and building self storage. We want to share that expertise with you. Below you will find resources to help you pave the way to a successful self storage business. Especially helpful is the Mako Steel Planning Guideline and Worksheet. In this guide, we provide valuable information about what you will need to consider for site selection, critical research required before investing and guidelines for planning, permitting and budgeting your self-storage project. Below is a list of other valuable resources to help you build a profitable Self Storage Business. RMA Article "The Rising Relevance of Self Storage Facilities"
We are here to help you through each step in the process of building a successful self storage business. Our in-house engineers can help you design your facility to keep costs down while providing the unit mix to maximize your profits.